Designed to appeal those that might be tempted by the diminutive dimensions of mirrorless models but want the benefits of an optical viewfinder, measuring just 116.8 x 90.7 x 69.4mm and weighing 407g with battery and SD card, the Canon EOS 100D / Rebel SL1 / Kiss X7 is both seriously small and light in weight. On the inside, the camera sports a second-generation ‘Hybrid” 18-Mpix CMOS AF II sensor featuring both Phase/Contrast detection AF, but with a wider detection area than the similar sensor found in upper entry-level EOS 700D, introduced at the same time. 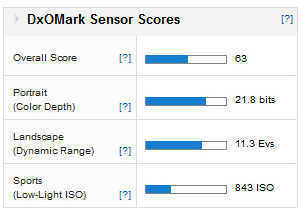 The EOS 100D achieved a DxOMark sensor score of just 63, below that of all current entry-level rivals. 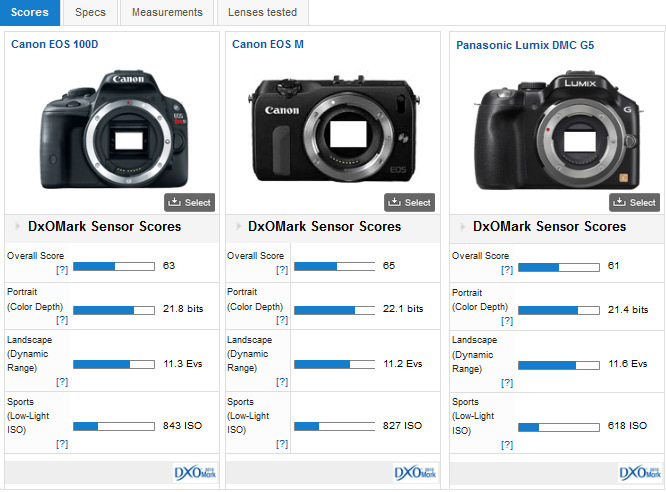 Sensor metric scores for Color Depth and DR are all on the low side for an APS-C DSLR but Low-Light ISO score while low compared to the best is actually on a par with some models. 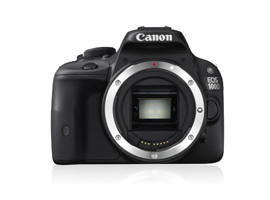 As mentioned before the Canon EOS 100D has a similar sensor to the EOS 700D and several others in the firm’s range. For all that it performs similarly. As well as achieving the same Color Depth and DR score. 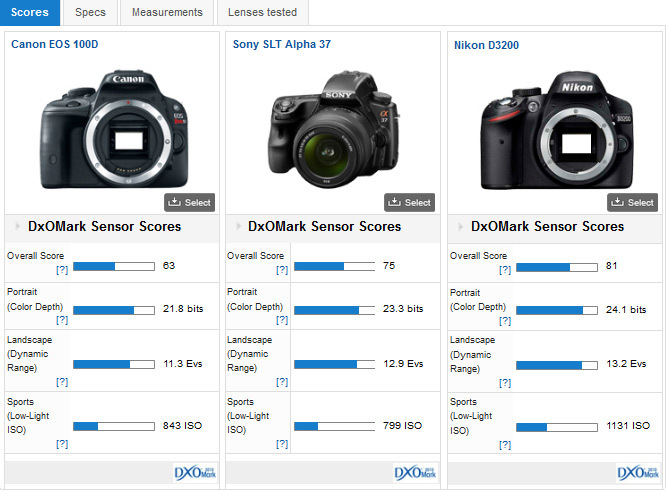 When compared with rival entry-level DSLRs, the tiny EOS 100D looks like it’s well behind, especially in DR where it’s -1.9 stops behind the Nikon D3200 and -1.3 stops behind the Sony SLT-A37. A similar story can be said for Color Depth, where the Canon is -1.4 stops behind the Nikon and 1 stop behind the Sony at base ISO, though in fairness, in good lighting and with careful exposure none of this will be really noticeable. Also bear in mind, with higher ISOs, the differences between them become less noticeable anyway. 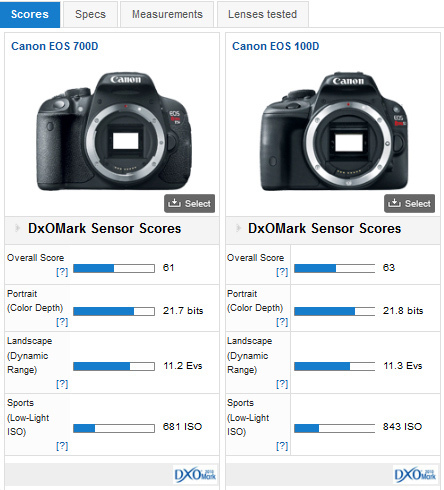 In comparison with the firm’s mirrorless body, the 18-Mpix EOS M, we can see the Canon EOS 100D performs identically for intents and purposes, while even matching the similarly priced yet more pixel dense 16-Mpix MFT format Panasonic Lumix DMC G5. At first sight it’s easy to overlook the $650 (body only) Canon EOS 100D / Rebel SL1 / Kiss X7 as offering no real improvements in sensor performance terms over the firm’s EOS 700D DSLR and mirrorless EOS M. But looking it at from a slightly different perspective, Canon has shown that it’s perfectly feasible to challenge the dimensions of an EVF based MFT camera while at the same time offering all of the benefits of an optical viewfinder and that includes not just image clarity, but viewfinder based 9-point phase-detection AF. That’s in addition to the hybrid AF sensor, which, when combined, offers full-compatibility with their ultrasonic and STM-based EF-S and EF lenses.